By joining forces with Microsoft, Kroger has set out to re-define itself as a growth-oriented technology business. "Microsoft is one of those fascinating businesses. 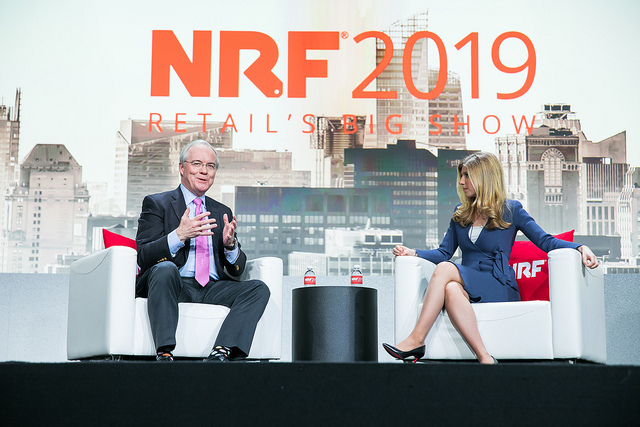 People always ask me, how did that relationship get started?," said Kroger CEO Rodney McMullen on stage at NRF 2019 this week. "It started with our teams identifying some opportunities…and [we decided] we should spend time together because if you look at Azure [and] the way it can accelerate, if you look at the talent Microsoft has, the ability to change retail and the current experience for our customer, all of those things came together, and we had the conversation and said, 'Let's go ahead and get started.'" The partnership will move into Kroger stores in Redmond, Washington and Monroe, Ohio that use the companies' co-developed technology. And they will use the findings from those stores to decide on next steps, said McMullen.